We look at a stock in two different ways — quantitatively and fundamentally. This hybrid approach sets Boston Advisors apart from other investment managers that are strictly quantitative managers or strictly fundamental managers. We believe combining the two disciplines helps us add value through a deep and thorough investment process. Fundamental research complements this data-focused analysis by allowing portfolio managers to understand and evaluate a company's underlying business model, competitive advantage and overall sector and industry group trends. The seasoned judgment of our portfolio managers helps to contextualize and interpret model rankings and validate key recommendations. 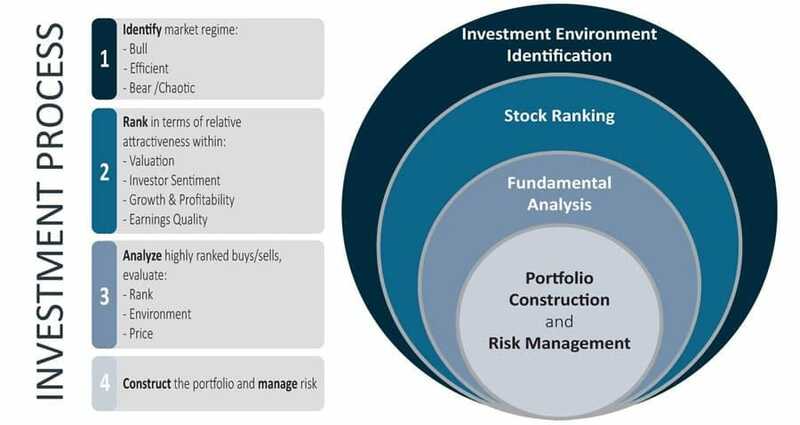 The combination of the two disciplines results in a portfolio in which we have high conviction in holdings, moderate turnover, and a deep understanding of the portfolio's overall dynamics and composition.